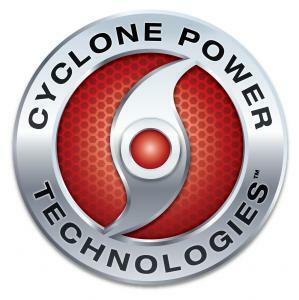 POMPANO BEACH, FL--(Marketwire - June 28, 2018) - Cyclone Power Technologies (OTC BB: CYPW) announced that it has retained John Flynn as a consultant to assist in the turnaround of the company and its ongoing operations. The Company has contracted Flynn to assist in restructure of capital and debt instruments, engineering and product launch initiatives. Cyclone Power Technologies is the developer of the award-winning Cyclone Engine -- an all-fuel, clean-tech engine with the power and versatility to run everything from waste energy electric generators and solar thermal systems to cars, trucks and locomotives. Invented by company founder and Chairman Harry Schoell, the patented Cyclone Engine is a eco-friendly external combustion engine, ingeniously designed to achieve high thermal efficiencies through a compact heat-regenerative process, and to run on virtually any fuel -- including bio-diesels, syngas or solar -- while emitting fewer greenhouse gases and irritating pollutants into the air. The Cyclone Engine was recognized by Popular Science Magazine as the Invention of the Year for 2008, was included in a 2011 report by Popular Mechanics as an important waste energy technology for the future, and was twice presented with the Society of Automotive Engineers' AEI Tech Award. Additionally, Cyclone was named Environmental Business of the Year by the Broward County Environmental Protection Department.